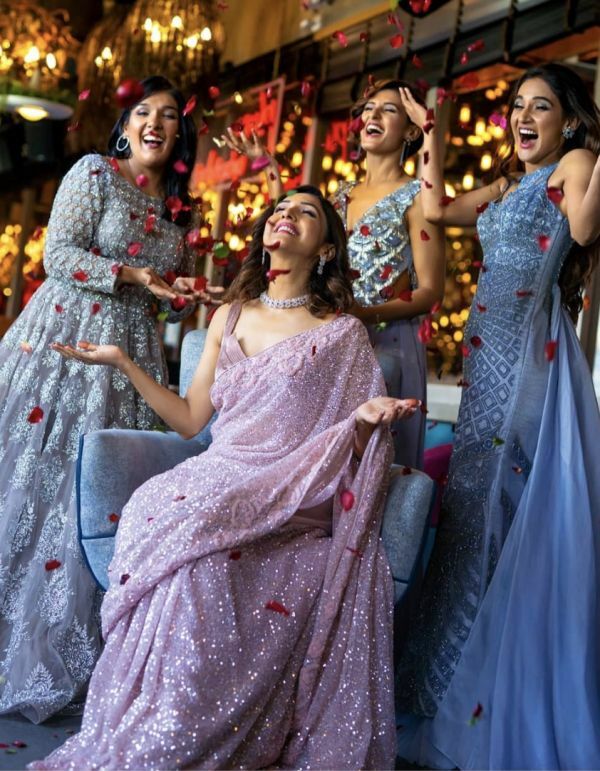 Bride-To-Be Neeti Mohan Ditches Hubby For Pre-Wedding Shoot With Sisters Shakti, Mukti & Kriti! What one more Bolly wedding?! Yup guys, after DeepVeer, Nickyanka and the Ambani wedding, be ready for one more celebration. 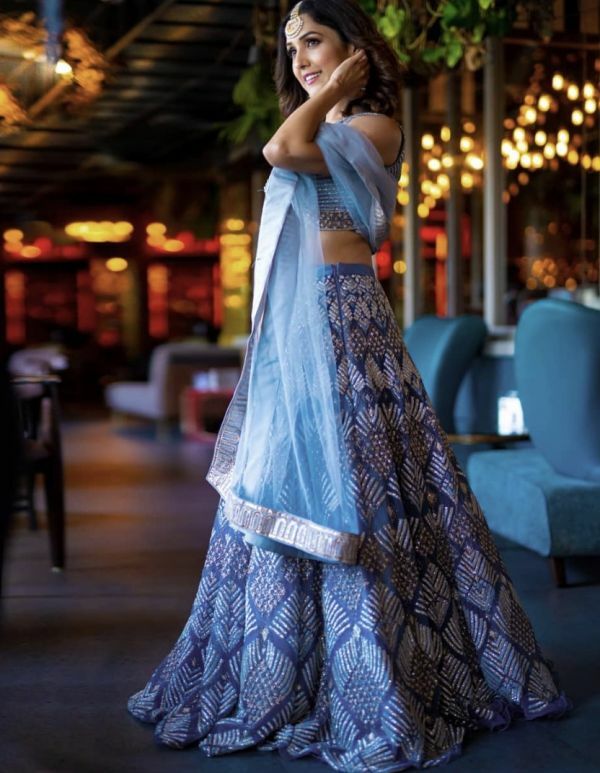 Ishq Wala Love and Jiya Re singer, Neeti Mohan is all set to tie the knot with the Manikarnika: The Queen Of Jhansi actor, Nihaar Pandya and it'll be a grand celebration. But instead of being mainstream and clicking romantic photographs around the city with her fiancé, this bride-to-be decided to cherish the blood relationships she's had since birth: her soulmates aka sisters! 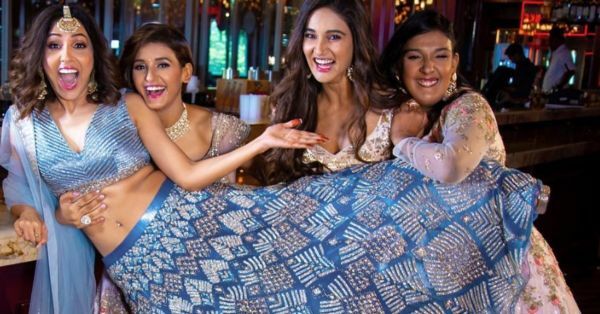 The Mohan sisters- Neeti, Shakti, Mukti and Kriti looked stunning as they posed in lehengas, taking us back to the regal days of princes and princesses. What's a wedding without a pre-wedding shoot, right?! And we're loving the whole sisters before misters attitude. The pictures were captured by A Knotty Tale and the beautiful outfits were by Kalki Fashion. 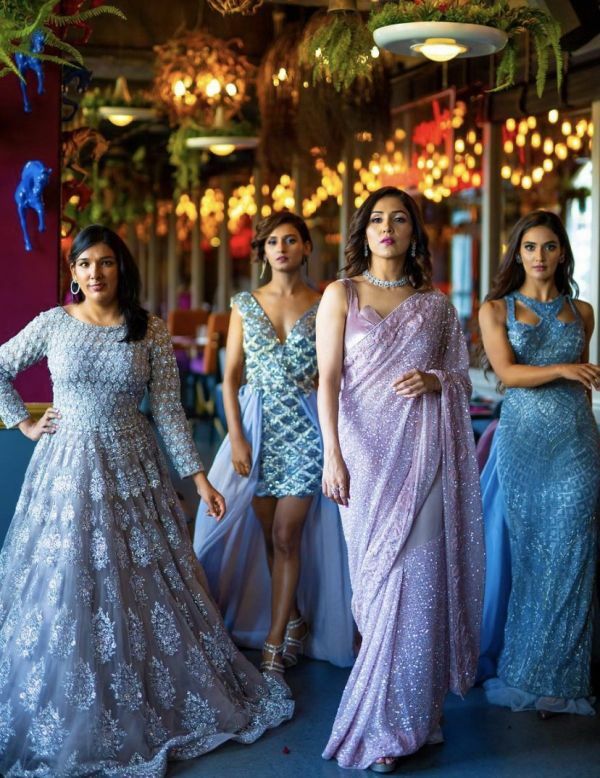 The bride-to-be Neeti stood out in a blue lehenga with gold and silver shimmer work while the other three complemented were styled in beautiful pastel ensembles. They even added the quirk quotient by holding up placards with the hashtag, #NotWithoutMyMohans! How gorgeous is our bride-to-be?! Oh yes, a trendy dulhan with lehenga and sneakers, yes please! And then there was a quick change of clothes... 'coz why the hell not!? Neeti wore a stunning lilac saree with beads of sequins all over. The outfit even boasted of threadwork embroidery and the singer finished it off with a minimal diamond choker along with matching earrings. 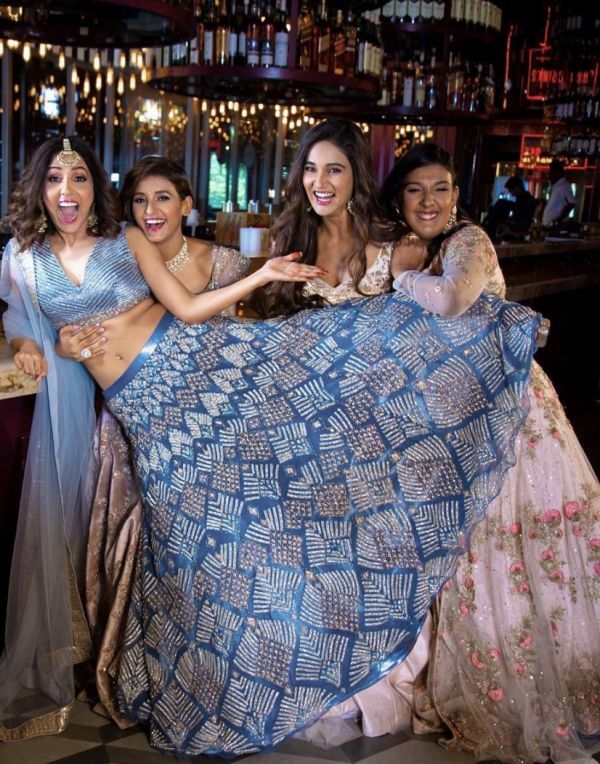 Shakti, Kriti, and Mukti all chose to wear blue floor-length gowns are were all smiles to get their behana married! 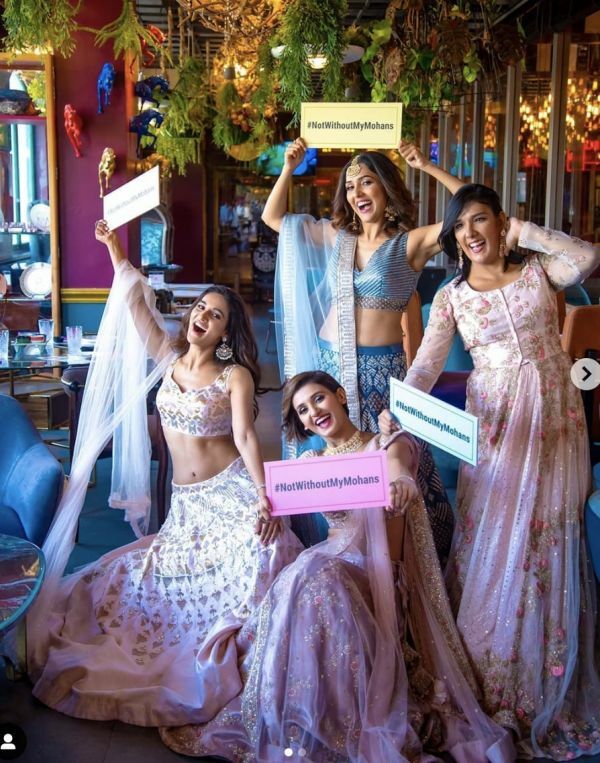 Check out this fun-filled video of these four divas! The wedding is going to be on the 15th of February and the mehendi combined with the sangeet function will be held on the 14th of February. It is going to be a grand affair at Hyderabad's Falaknuma Palace, where Salman Khan's sister married her hubby Ayush Sharma. 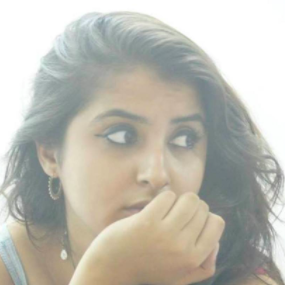 Harshdeep Kaur is reportedly performing at the pre-wedding functions and we're sure that it'll be everything glamorous!